Imogen's Typewriter. 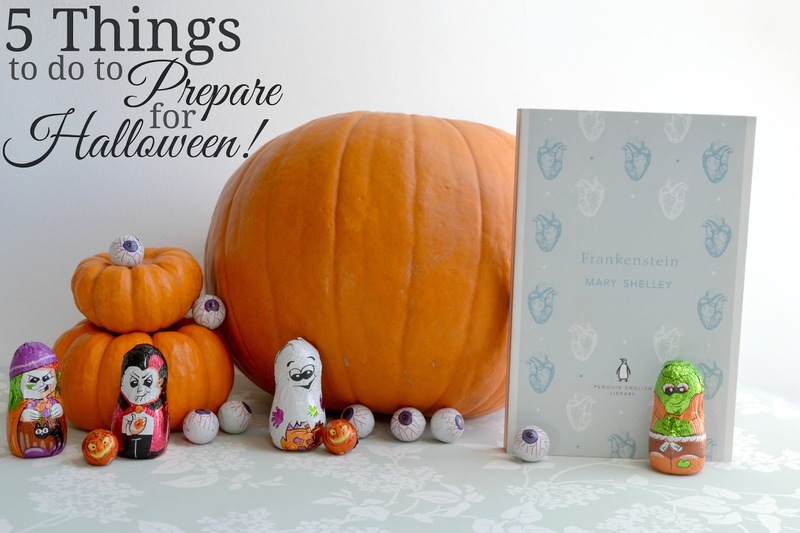 : 5 Things to do to Prepare for Halloween! Halloween is definitely one of the easier holidays to prepare for. It took me a while to think of 5 things to do whereas my preparing for Christmas has already begun and is already freaking me out. Another reason Halloween is better! But here are 5 Things you can do to make your Halloween run smoothly (and give you all the more reading time for the readathon). I love trick or treaters at Halloween. I think it's cute seeing all the little kids all dressed up and excited, and I think it's a shame that it seems to be less of a tradition these days. Either way, it's time to stock up and make sure no kid goes home without one hell of a sugar rush! 2. Get your costume sorted! I'm not a costume gal since I spend Halloween on the couch but I'll pull on my Captain America jumper in solidarity. If you are a costume person, it's time to start organising to avoid any last minute scrambling at the shops. ASOS has some great things if you just search Halloween and there's still time for an order from Black Milk! This is definitely more of an American thing than a British thing. My pals were talking about yard decorations and pumpkins for their stoop while I sit here so jealous! But they shouldn't get all the fun, I'll be doing a little decorating around my room/desk to get into the spooky spirit. 4. Make sure to get a good pumpkin! Pumpkins are in stock in supermarkets now, but they won't be for long. I didn't have one last year because I waited for too long to get one so it's definitely worth getting one early since they can last 8-12 weeks pre-carving. 5. Get your Hallowreadathon TBR ready! The Hallowreadathon approaches. You can read all about what it is and the reading challenges here! And I've narrowed down my TBR options to about 10 which is, of course, ridiculous for a two day readathon. I posted about it here in hopes of some help because I am terrible at deciding. And I wrote a post last year about Too Spooky Reads if you need some help! So those are 5 things to do to prepare for Halloween! What do you think? Have I missed something?